Recently saw friends around me keep tapping on their smartphone crazily when they are “free”, as in “fingers have nothing to do”. Since I don’t have to work today, slacking back at home, I thought of why not introducing this mobile app to Orange and see how addictive it could get him. So I asked him to install in his iPad. 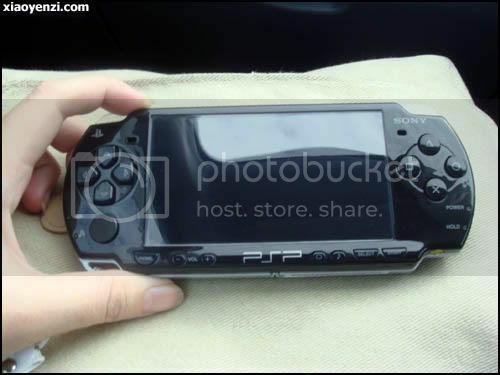 Just before I made up my mind to buy myself a Sony Cyber-shot DSC-T2, my friend asked me to accompany him to get a Sony PSP game console. He has been dreaming of buying this for such a long time. Hello everyone. I would love to wish all of you a very Merry Christmas before 12am (of 26/12/2007). Hope it’s still not too late for the greetings. I wonder why I didn’t include this in my own blog! Last year when Jay Chou released his new album with the song Qian Li Zhi Wai (千里之外, meaning: far away), me and Cherry made this music video using a game interface, which is Ragnarok Online (RO). Back that time, I hosted an RO private server, so we could easily get whatever we wanted and also easily moved around in the game. Anyway, here is the vid, just in case you never watched before. Recommendation: download this video to have a clearer view of the wordings/conversation. To download this video, try vixy.net. Click here for tutorial.